NUFC have made wor 2nd signin' of the summer transfor window with the aqusishun (Geordie Times spelllin'!) 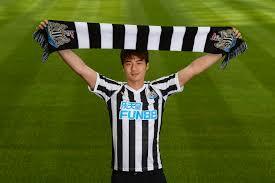 of Ki Sung-Yueng from Swanzee on a free transfor az he became a free agent! He iz a 29 year old Sooth Koree-an international and played in The World Cup v Sweden and Mexsico and woz an unused sub in their famous victory v Jawmany a few days ago! He haz 93 caps for hiz country and haz played 166 Premyaa Leegue games for Swanzee! Rafa said: "I am pleased to welcome Ki to the club. It was an easy decision to bring him here! He is the captain of his country, a good character and he will be a good addition to the squad!" Ki will be the 50th different nationality to play for us in the Premier Leegue! "The Yueng ones, darling we're the Yueng ones!" To leave top goal scorer and captain Harry Kane oot of the startin' X1 and make EIGHT changes to the team that annialated Panamaar 6-1 iz unforgiveable! Wot the hell Soothgate woz 'fink'in aboot iz anybody's guess! And so it came to pass that they lost 1-0 in a terrible match against Beljim (who themsels made NINE changes from their previous game!) and will face Columbee-aa (16th in the rankings!) instead of Japaan (61st in the rankings!) in the next roond, which could well end in tears yet again!----Lets hope not! A total selection shambles if yoo ask us! PS: Some have said that finishin 2nd meenz that Ing-er-land have an easier run in and will have an extra day off! 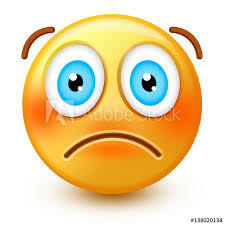 8 of those who played against Beljim WONT start against Columbee-aa anyway so it wouldnt make any difference!---would it? "DON'T MENTION THE WORLD CUP!" Sooth Koree-aa 2 JAWMANY 0! PS: Its rumoured than the Beljin manager Martinez iz gannin to play hiz 2nd 11 in the game that kicks off at 7 bells! The 'IN'S' and 'OOT'S' so far! NUFC SEASON TICKET DEADLINE EXTENDED! News reaches The Geordie Times that the deadline for season tickets renewals haz been extended by a week! Hopefully this will push wor 'beloved'? 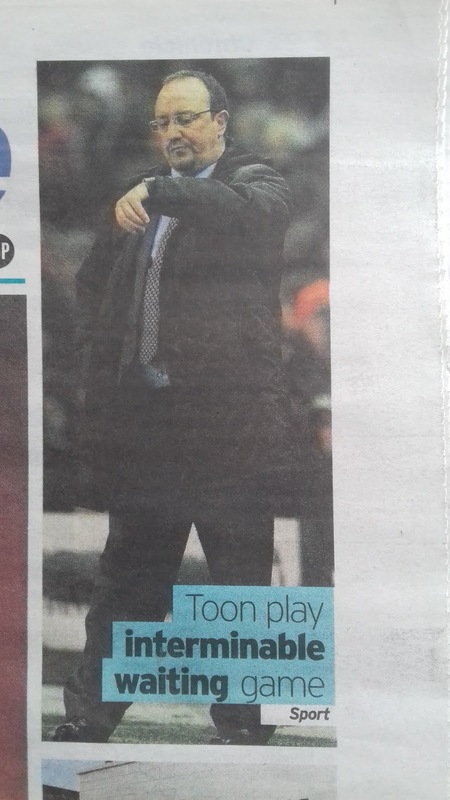 absent owner into givin ' Rafa the Gaffa' some much needed 'dosh' to buy players before the window closes! 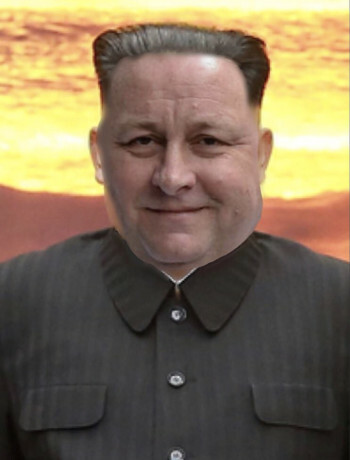 We will of course keep yoo, wor loyal subjects posted to any developments on that score! THE ARSEHOLES 'ARSE IT UP' BIG STYLE! "7 DAYS TO GAN!" ---"AND COONTIN'!" HAZZENT SPOKEN FOR OWER A YEAR! With just one week to gan before 'The Toon' retorn for pre-season trainin', we are still me nearer naa-in if 'Rafa the Gaffa' will stay or gan! 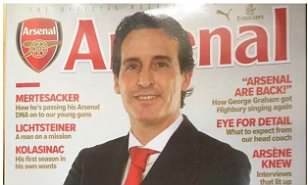 With just one porminent transfor in the window so far (the porminent signin' of on loan goalie Martin Dubravka), anothaa season of struggle iz in the offing! The silence from wor beloved? owner and MD? Iz deafenin' once again! 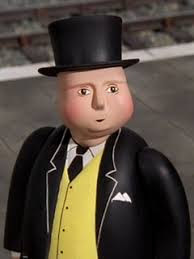 'The Fat Controller's' statement ower a year ago (the last time we hord him speak! ), that he wants a major trophy or Champions Leegue place before he departs iz laughable to say the least! If thats the case and with minimal spendin', he will be with us for a very lang time indeed! Yet again the end of season optimism haz been replaced by dispair az the new season fast approaces!!! 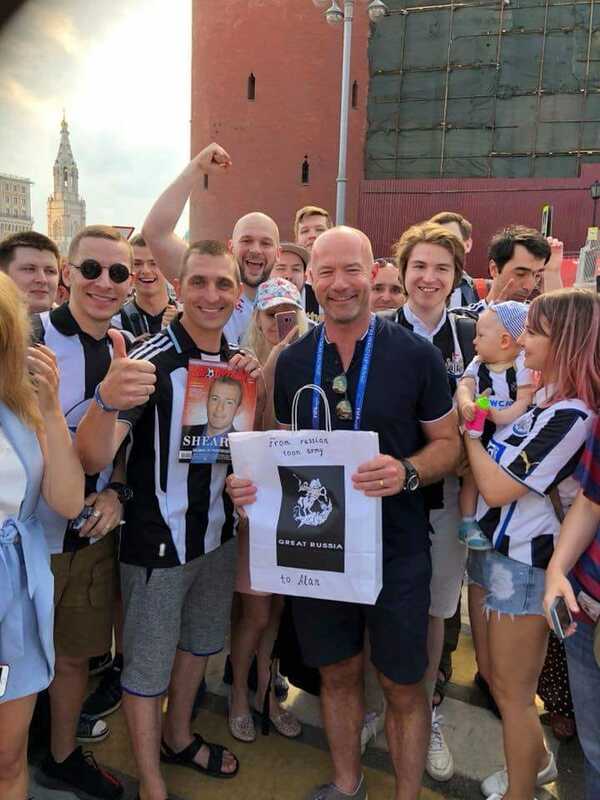 TOON ARMY MEET ALAN SHEARER! "WHEY AYE! FIVE 'O'!" and "THE JOY OF SIX!" "STONE THE CROWS!" ---JOHN STONES HEEDS ING-ER-LAND INTO THE LEAD! Ing-er-land 6 Panaamar 1 ! At '1:00pm bells' today Ing-er-land play Panaamar in the World Cup and a win will propel them into the knockoot stages! After stumblin against Tune-issy-aa with a last minute winner (Belgim slaughted them yesterday!) it iz an eezy game against the groups weakest team! Eyes glued to the big screens this afternooon with 'liquid lubrications' a plenty! NUFC U21's are to play in the Chekatrade Trophy again next season! Its a 4 team mini leegue and last season wor resorves played against the 1st teams of Oldim, Port Vale and Crewe Alex! The possiblity that we could be drawn against the SMB's haz crossed wor minds! "12 DAYS TO GAN!" 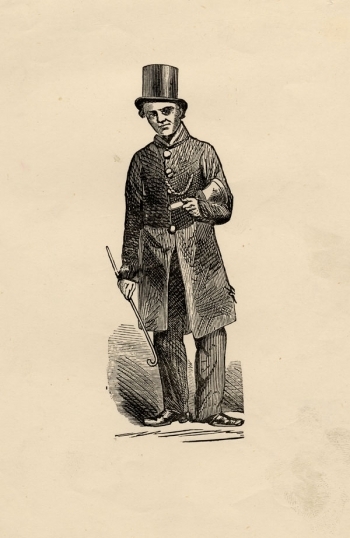 ----"AND COONTIN'!" The question on everybody's lips---IZ!---will Rafa's patience finally run oot and heed for the exit door!? Only one person can make sure that he DOESN'T! A BARROW LOAD OF TROUBLE! Havin aalready booked the flight on the Munday mornin' of July 16th to Dublin for wor forst team game against St.Patricks Athletic on the Tuesday, we then find oot that wor U23s are playin' at Barrow on the Munday we travel to Dublin! Az a'v nevaa been to Barrow's groond before, which iz a former leegue groond, it woz with long thought and careful consideration (aboot 5 seconds!) that I decided to 'bin' the flight to Dublin and catch the train to Barrow instead on the same day! After the match in Barrow it's anothaa train orly the next mornin to Holyhead via Warrington---and then onward by ferry to Dublin! 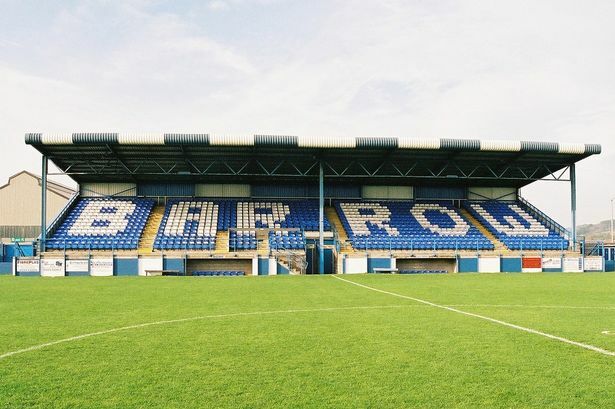 A bit of a carry on, but bein a former leegue side, Barrow's Holker Street groond iz one a'v aalways wanted to tick off 'mee list'! 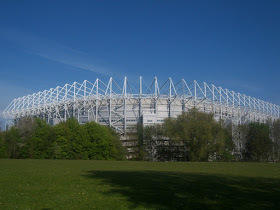 ST. JAMES' PARK FROM LEAZES PARK! Wor openin game of the new season iz at home to Sporz, which iz exactly the same az last season! Then its The Taffy Noses away in their retorn to the top flight! 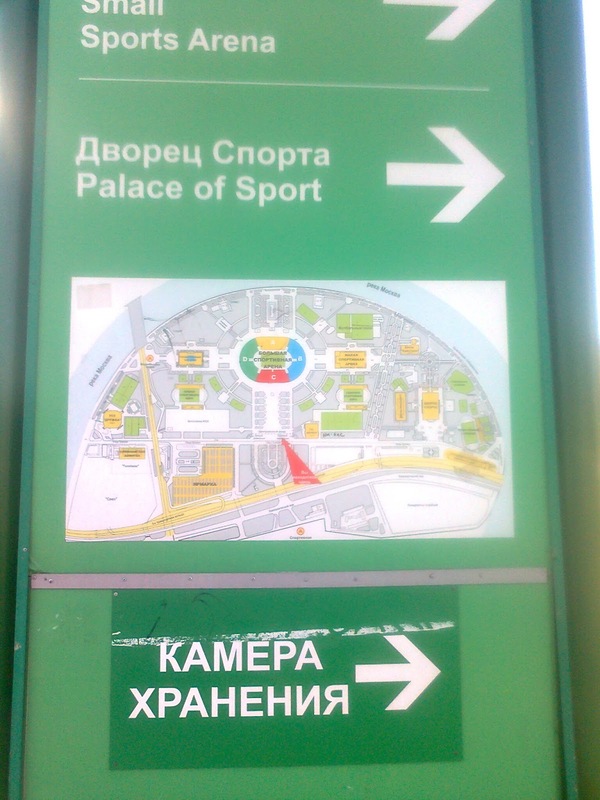 Then in February we gan groundhoppin' to Sporz new abode, which iz next door to their old one! Of course many fixtures will be moved for live telly and we wont find that oot for anothaa 3 to 4 weeks! Aall games (at present!) are Saturday '3 bells' kick offs, unless stated! 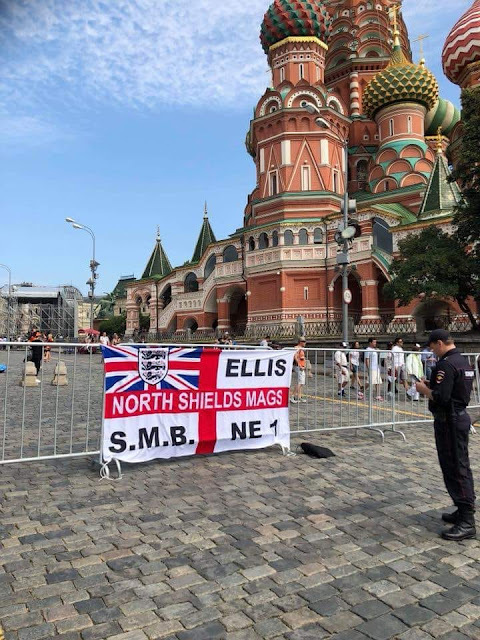 "HAVE YOO EVER SEEN A mACKEM IN MOSCOW?" 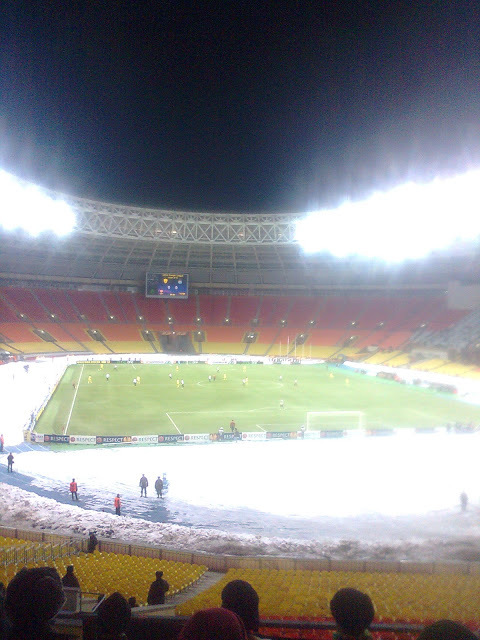 The World Cup kicks off in Moscow @ '4 bells' this afternoon in the MAGnificent Luzhniki Stadium, which will aalso host the final! In total 73 Toon fans managed to get visas plus 30 Russians who aalso supported us! The crowd woz 5,000 or so in this 78,000 seater stadium! 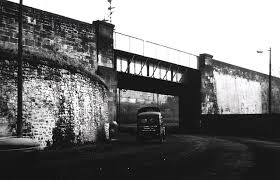 The lang trip to Rushaa started off on the Wednesday mornin' @ '3:30 bells' when the taxi pulled up and we were whisked off to Toon Airport for the '6 bells' flight to Brussels. 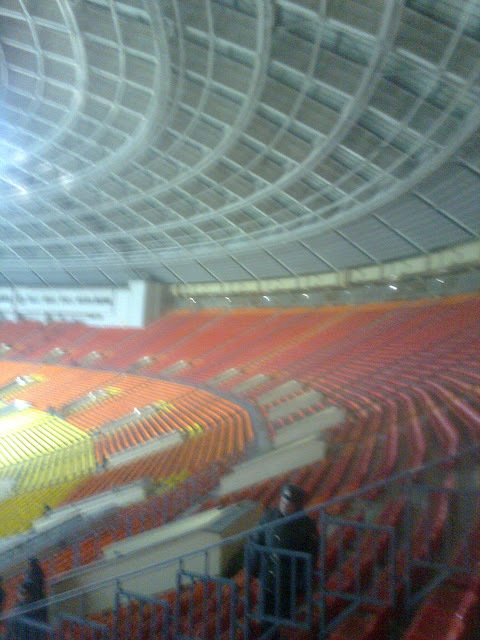 From there we boarded wor next flight not lang after landin' and arrived in Moscow some 12 hours after leavin' Tyneside. 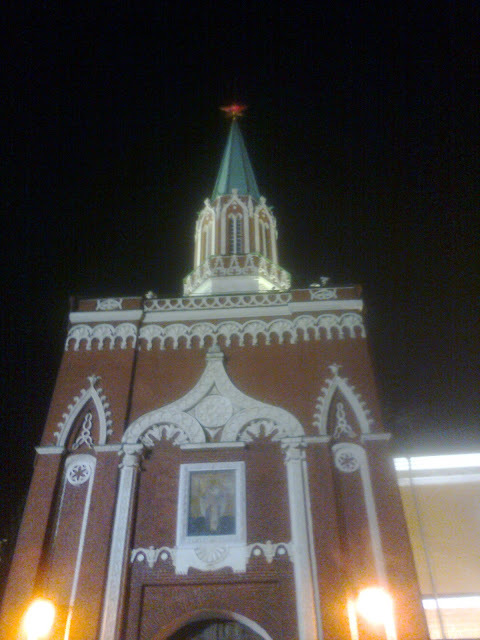 It waz in the middle of newhere next to a buildin' site and after a quick wash n brush up it waz doon to the bar for a quick pint before heedin' off to Red Square! 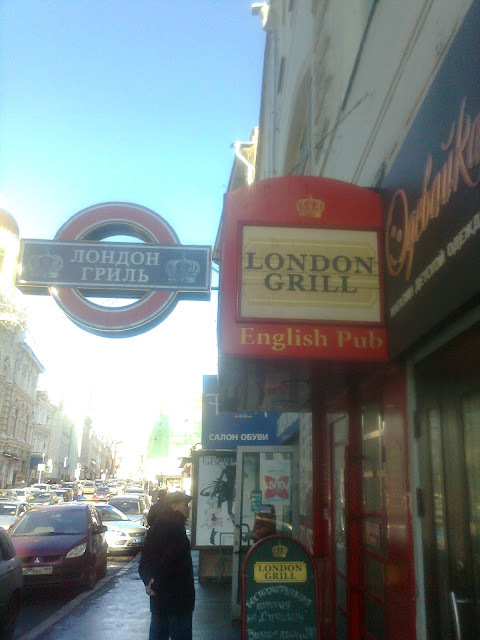 One taxi ride later and we were there, but it wasnt cheap there eetha, with beer between four and six quid a pint! 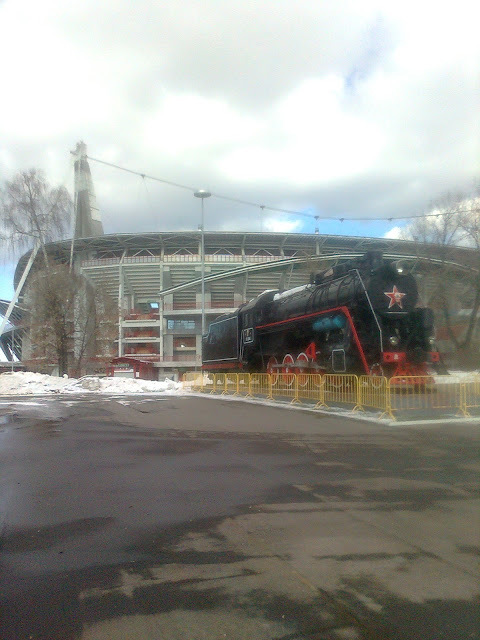 Next day it waz match day and we decided to gan to the groond orly to suss the place oot before heedin' across Moscow to visit Locomotiv Moscow's groond in the suborbs! ARE SO CAALLED***THEN NOW YI NAA!" Temperatures were reportedly minus ten in the bitin' wind and so (az yi de!) 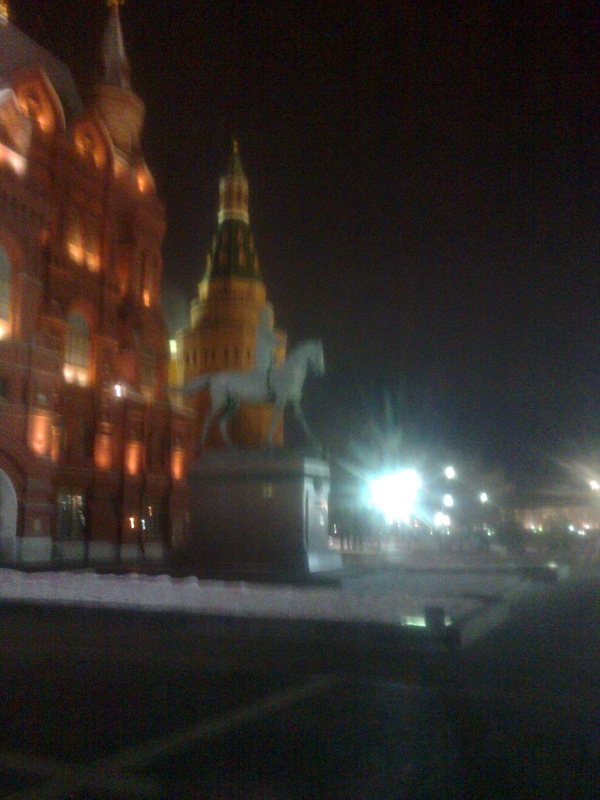 several liquids were consumed before heedin' back to Red Square for the afternoon session. 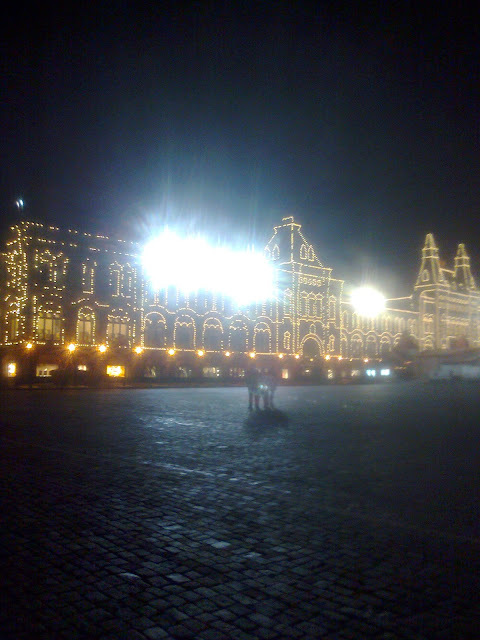 NEXT TO MOSCOW'S RED SQUARE! 70 odd faithful who had managed to get visas in time were in the away section behind the goal, plus a fortha 30 or so Rushans who were there to support us, givin us a total followin' of ower 100! 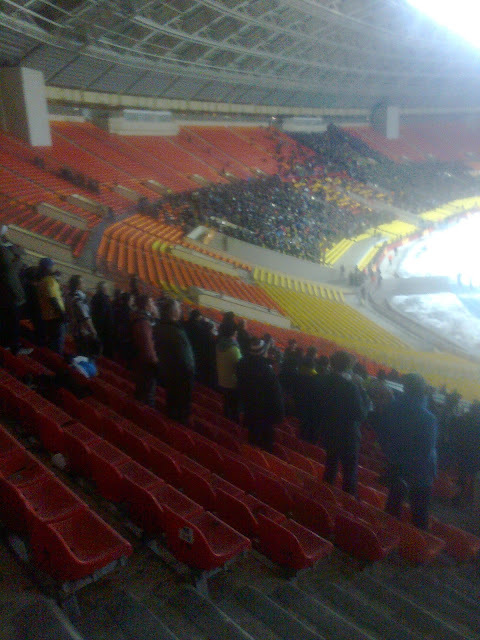 Anzi fans were in the main stand and there looked to be 4 or 5,000 of them who had made the thoosand mile jorney from Dagestan az the match kicked off, with the rest of the 78,000 seater stadium totally empty! The temperature had dropped sharply by this time and mee 'plates of meat' were startin' to freeze up, despite iz havin' two pairs of thick socks on! The forst half waz az borin' az it gets and the anly action of note waz when Rob Elliot in The Toon goal tipped a shot ower the bar near the end of the half! ﻿﻿The plastic pitch didnt help of course and the 2nd half wasnt much better although Ben Arfa makin' hiz retorn after injury shud have done better when he tried to chip their keeper in front of the 73 Toon fans! It waz then back to Red Square for somemore liquid refrehments before heedin' back to the hotel in the orly hours! By the next day the 'bit' had run oot and we had to get some more to satisfy wor 'thirst requirements'! and it waz then the 'torturous' jorney back yem via the Moscow Metro/train/2 flights and then WOR Metro from Toon Airport and finally a bus from 'the Central' and I arrived at mee front door @ '10:30 pm bells last neet totally 'cream crackered'!--"ZZZZZzzzzz!!!!!" Just one day to gan til 'the big day'---and NO!---a'm not taakin aboot the World Cup! A'm on aboot the Premyaa Leegue fixture list for next season, which are released tomorrow mornin' @ '9 bells'! Of course many of them will be changed for live telly, but at least we will get an idea of the approximate dates! Watch this space tomorrow and we will guarantee that we will be last again to inform yoo, wor loyal subjects, of the impendin' dates! 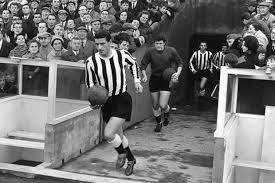 It iz with great sadness that we hear of former Toon skipper Stan Anderson's passing! He woz 85 years old and died on Sunday! Uniquely he aalso captained both the mackems and the smoggies!---- The anly player to captain aall 3 clubs! HAPPY BORTHDAY TO ME!---"IT'S WOR CUP!!!" 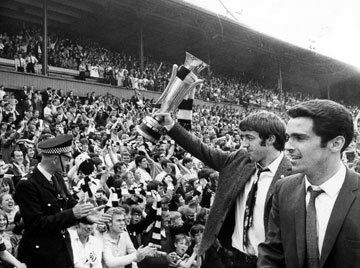 The Fairs Cup celebrations continued from the previous day (see below) when we paraded the coverted silverware aroond St James' Park. 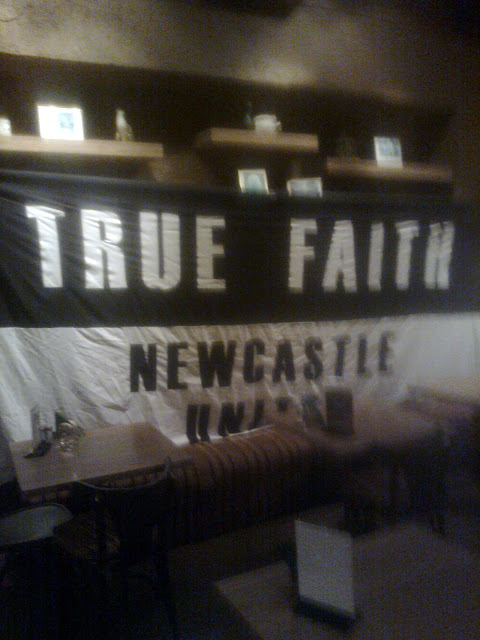 One home made banner made oot of a tatty bed sheet and hand written in black paint summed it up: "IT'S WOR CUP! ", the banner proclaimed! Aa was somewhere in the Centre Paddock that day and it was a very special day for me for it was aalso mee 15th borthday! It is STILL to this day the best borthday 'present' that a'v ever had! Clue: it iz mee 'treble 21st plus 1! 3-0 forst leg win a fortneet orlier . I was still a schoolkid at the time and me and mee mate 'Billy the Skin' listened to the final on a crackly old valve radio in his bedroom of his muthaaz hoose as the game wasn't televised live. 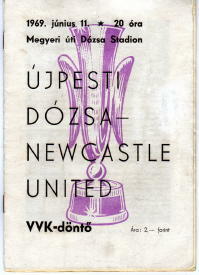 It didn't look 'ower clever' by half time as we were two-nowt doon, but as the 2nd half started, Bobby Moncur vollied in to pull one back and Ujpest just collapsed after that. Benny Arentoft got wor equaliser soon after and then Alan Foggon got the winner from a rebounded shot off himsel? 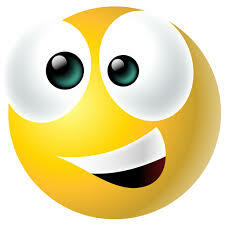 as the radio commentator screamed his heed off:"IT'S A GOAL!--IT'S A GOAL! ", he shouted at the top of his voice, above the 'crattles' of the radio, and it was 'game ower' as the ref blew the final whistle soon after! The bedroom floor nearly collapsed as we jumped up and doon on the creakin' floorboards in jubulation, as, (just like the radio commentator) WE shouted at the top of WOR VOICES as well! 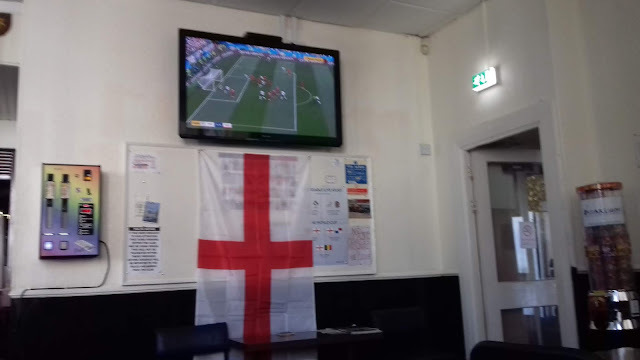 We celebrated wor win by runnin' doon nearby Whickham Highway wavin' an NUFC flag and a huge 'Rangers' 'William of Orange banner' depictin' a gadgie wearin' a funny lookin' hat, ridin' a white horse, (would you believe!) which Billy had 'half inched' as a souviner from the policehut at 'The Leazes End', after we'd played and beaten Rangers in the Fairs Cup semi final @ St James Park in May! TOON PAIR WIN WORLD CUP! 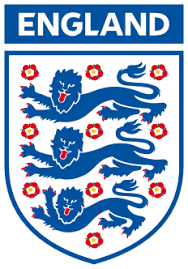 Congratulations to Ing-er-land and Toon players Freddie Woodman and Adam Armstrong in particular, for winnin' the U21s World Cup in Toulon yesterday! 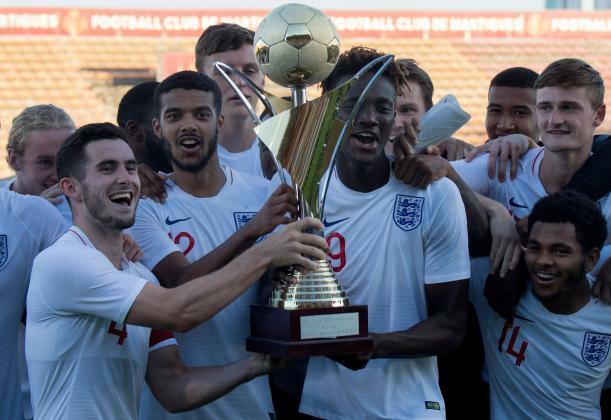 Ing-er-land came from a goal behind against Mexico in the final to win 2-1 with goals from Deal Fry and Kieran Dowell to lift the trophy for the thord time in a row! 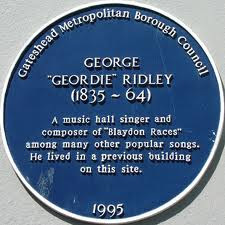 Today iz an historic day for Geordies everywhere---for today iz the 156th annivorsary of 'The Blaydon Races' song, which of course iz the Geordie National Anthem, written by Geordie Ridley in 1862. 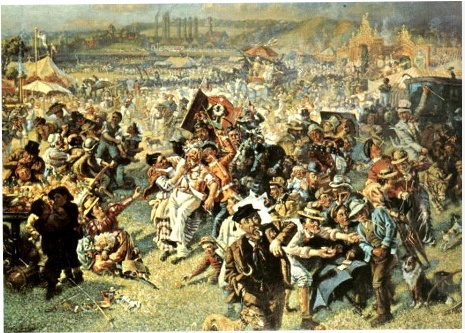 "Aaa went to Blaydon Races! t'was on the ninth of Joon! ayteen hundred and sixty two! 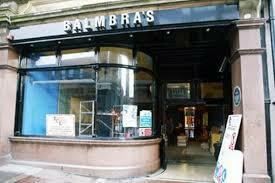 we took the bus from Balbra's! away we went alang Collingwood Street! "Oh! mee lads! yi shud'iv seen us gannin! passin the folks alang the road! just az they were stanin'! aall the lads and lasses there! gannin alang the Scotswood Road! 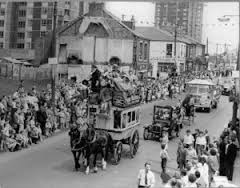 to see the Blaydon Races!" "We flew past Armstrong's factory! 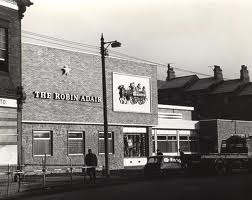 and up to The Robin Adair! 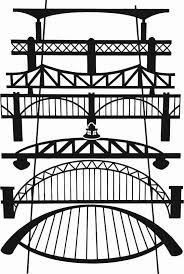 just gannin doon ti the railway bridge! the bus wheel flew off there! the lasses lost their crinolines off! the veils that hide their faces! an' aw got two black eyes! in gan ti Blaydon Races!" "An' when we put the wheel back on! but them that had their noses broke! they cam back ower yem! some went to the dispensary! and some to Doctor Gibbs'ss! and some to the infirmary! to mend their broken ribs'ss!" "Noo when we got to paradise! thor wes bonny gern begun! there wes four and twenty on the bus! man!---who they danced and sung! they caalled on me to sing a sang! aw sung them Paddy Fagen! aw danced a jig and swung me twig! the day aw went to Blaydon!" "We swung across the chain bridge! the bellman he was caallin' there! they caall him Jackie Broon! aw saw him talkin' to some cheps! and them he was persuadin'! to gan and see Geordie Ridley's show! at the Mechanics Hall in Blaydon!" "The rain it poor'd aw the day! and myed the ground quite muddy! 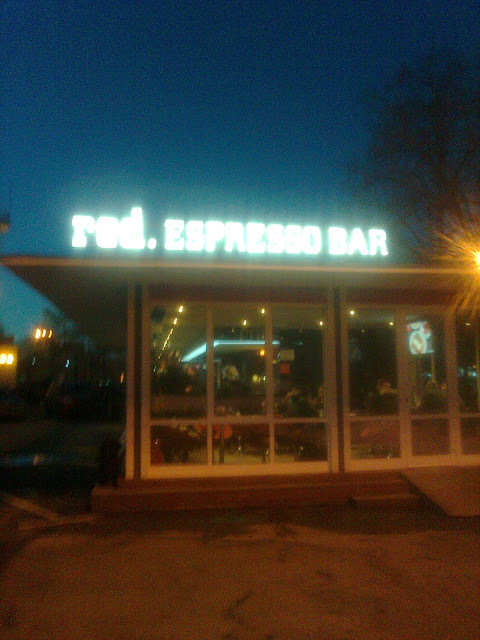 Coffee Johnny had a white hat on! they were shootin', "Whe stole the cuddy?" there wes spice stalls and munkey shows! an' aud wifes sellin' cider! an' a chep wiv a ha'penny roond-aboot! shottin', "Aw me lads, for riders!" 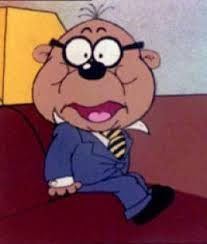 News that a stalemate haz been reached in Rafa's contract negotiations reaches us! 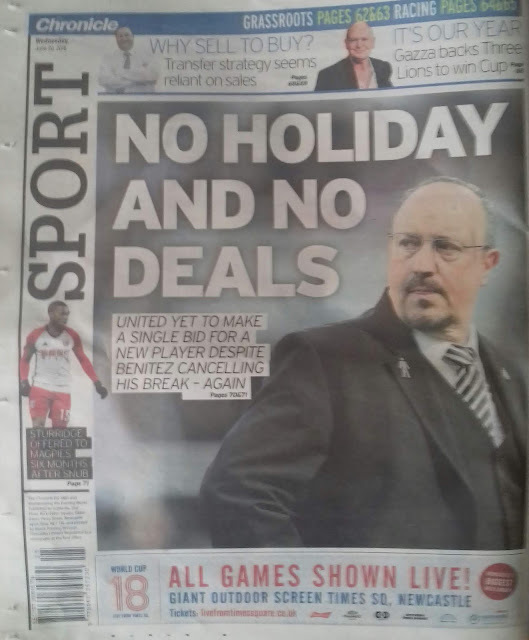 Just why NUFC wont tie him doon to an extended contract iz annoyin' and frustratin to say the least! 2 months of talks seem to have hit a brick waall and no new signings are in the offing with the new season fast approachin! Life iz nevaa easy under wor absent owner!---IZ IT!! ?